So this is a book I picked up on a whim while perusing the YA section at my library. I just thought the concept was unique and fun. And that's basically what the book turned out to be. A light, fun read that I looked forward to picking up again and again. It took a fantasy situation and made it very realistic. Like, of course your Mom is going to send you to a shrink if she thinks you are talking to yourself and over obsessed with a book. And I admire Jules, Delilah's BFF, because when Delilah told Jules her tale and asked her if she believed what was happening Jules said, "No, but you do." And that was enough. The story rotated between three points of view -- Delilah's, Oliver's, and the fairy tale. I thought it was nicely played to intersperse the fairy tale throughout the story, instead of perhaps putting it all up front or not including it at all. My favorite parts of the story were Oliver's, because I really enjoyed learning about the fairy tale characters real personalities when they were not acting out the story. Throughout the book there are different images and illustrations which help give the story a fairy tale feel. Good touch. I'm not sure I love the ending, but the story was good enough that it doesn't marr my overall reaction to the book. 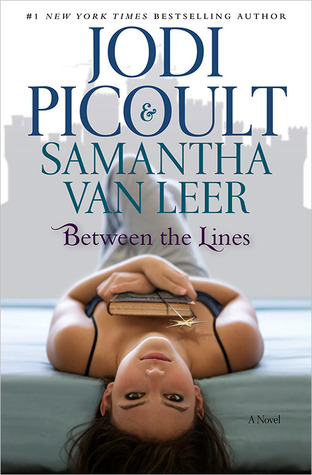 I am also kind of in awe that Jodi and Samantha sat down and wrote this whole thing together. Dang. Quick Summary: This is a cute, fun read if you're looking for one.